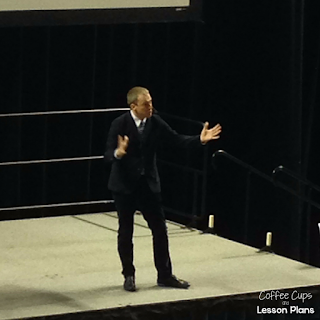 I recently had the opportunity to go to our local university and listen to Ron Clark speak. 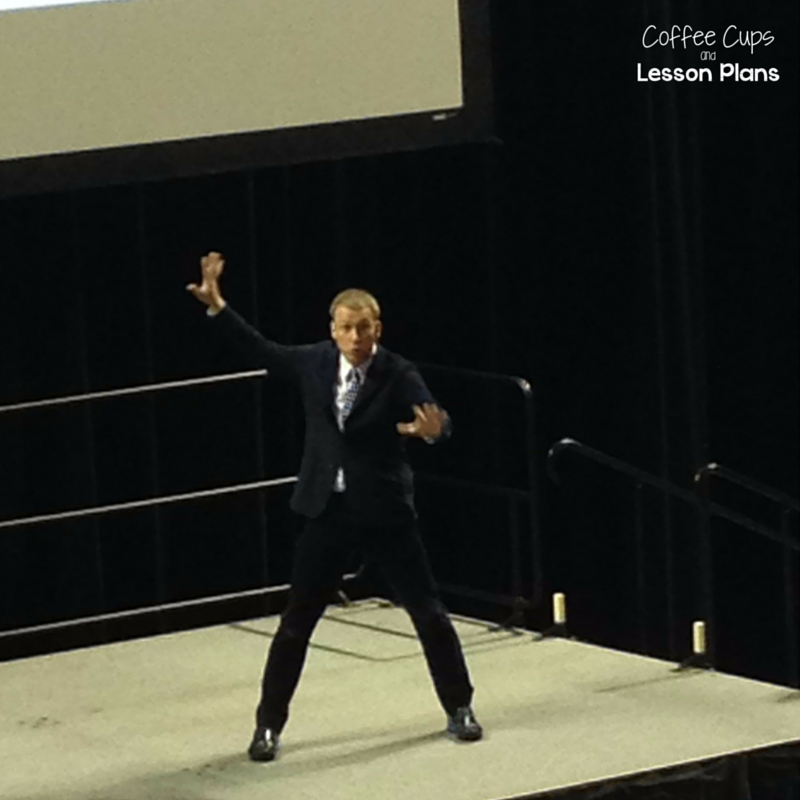 Most teachers know, but just in case, Ron Clark is an educator in Georgia who teaches at and runs the Ron Clark Academy. This is a very prestigious middle school that does an amazing job of teaching it's students how to prepare for life. They also have thousands of teachers visit the school each year for professional development. I hope I can visit there one day! In the mean time, I was super excited that Ron Clark visited South Alabama and I was able to go listen to him for free! 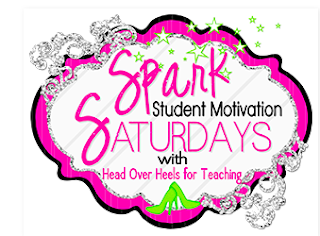 I wanted to link up with one of my BBBs Joanne at Head Over Heels for Teaching and sparking student motivation. This isn't student motivation, but sometimes teachers need motivation too! Mr. Clark is a dynamic speaker and motivator. My attention never wavered the entire speech. One thing I really loved was how he defined the people at your school. There are runners, joggers, walkers and riders. These terms all come from his new book Move Your Bus. Runners are people who basically push your school forward. They are constantly on the move, involved and innovative. They have new ideas, and go above and beyond what is required. Joggers are next. They are a lot like runners, but not quite as fast. They get involved in school activities, and help push and move the school to be innovative; they do their jobs well without pushing themselves. Walkers barely move the bus. They get pulled along by the runners and the joggers. Riders pick up their feet and let the others do all the work. They tend to slow down the entire process. One of the stories I liked best about Mr Clark's speech was his story about "Don't trust the bundt cake." 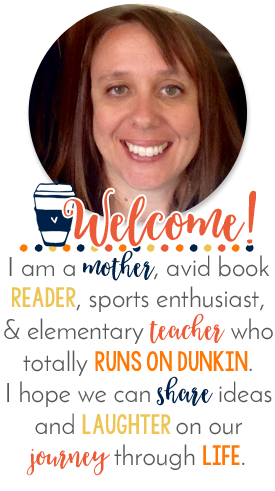 It describes the type of teacher who comes in and is super friendly to new teachers and staff. Outwardly they seem like the go to people, friendly helpful etc. But really they are saboteurs. They talk about what people are or are not doing at the school, but never contribute anything positive to the school as the whole. He ended this segment of the presentation with Don't trust the bundt cake. I went back to school and used one of my sentence strips to write #donttrustthebundtcake and put it up on my teacher wall. It is a great reminder to neither be the teacher who accepts the bundt cake, nor the one who bakes it. LOVE THAT! 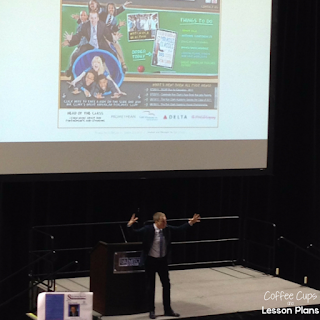 Clark talked about basic rules that apply at his school. Things like: move and have passion, if there are kids in the room, don't sit down, improve the QUALITY of time that you are teaching, NOT the quantity of what you are placing on kids. Normally, I would consider myself a runner. I like being involved in activities at my school, but honestly, I feel like lately I've been more of a jogger. I need to get my Fred Flintstone feet moving. Have you had the opportunity to hear Ron Clark or visit the Ron Clark Academy? At the least, check out Move Your Bus. It really gave me food for thought! You can click on the picture below to go to Amazon and check out the book. Sometimes, it's not just about motivating your students, but motivating yourself! 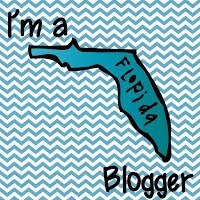 Thanks Joanne for letting me link up and share a Spark of Motivation!